WW FreeStyle for diabetics? Anyone with diabetes understands the dangers of dieting that other people don’t have to worry about. Gaining or even losing weight can become life-threatening if blood sugar levels aren’t considered. Lots of people want to lose weight, but they don’t know where to start. This is why the American dieting industry is worth over $66 billion. If you’re a diabetic, you need to find a program that’s designed to keep you safe. Weight Watchers has become a household name by helping millions of people lose weight. How does WW FreeStyle work for diabetics? Let’s look at how the Weight Watchers freestyle program works for people with type 1 and type 2 diabetes. As of now there is no special Weight Watchers plan for those with Type 1 or 2 Diabetes. *Click above to view today’s promotion, or see all WW couponshere! Remember, if you have type 1 or type 2 diabetes, be sure to check with your doctor before beginning any diet! 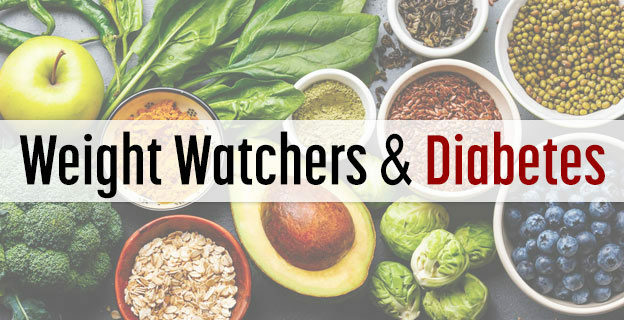 Is Weight Watchers a Good Diet for Diabetics? Yes, their standard program works well for women and men with diabetes. So well, in fact, that Weight Watchers was recently ranked as the #3 best diabetes diet by U.S. News. When you enroll in Weight Watchers, you have 3 options. You can sign up for the online program, the online and in-person program, or the online and coaching program. Choosing the right program depends on your personality and weight loss goals. Many people opt to join the online and in-person program because going to meetings helps them stay on track. At meetings, one major activity is the weekly weigh-in. People often find it easier to lose weight when someone else holds them accountable. You can also learn a lot of valuable information and bond with people who are going through the same struggles and joys as you are. If you are someone who enjoys having a support group, Weight Watchers meetings can be a great motivator. People who have diabetes may thrive most when they have additional guidance through online or in-person guidance. Depending on how severe your diabetes is, you should frequently measure your blood sugar levels. Any time you make big changes to your diet, you should monitor yourself closely for the first week or so. Once you fall into a healthy routine and you figure out which meals won’t spike your blood sugar levels, then you don’t have to worry so much about measurements. You can slip back into the joys of having a simple routine while reaping the benefits of your weight loss. Another thing worth noting is that on top of seeking guidance through Weight Watchers, you should also communicate with your doctor throughout your journey. You may find that as you lose more weight, you may require less insulin. If you reach this point, then schedule an appointment with your doctor so they can readjust your medication. Depending on your weight and other personal details, you have a number of points you’re allowed to eat in a day. Each food has a designated point value. All you have to do is keep track of how many points are in each meal and snack on the WW app. When you exercise, you earn more points. Several foods are also considered “free foods” that don’t cost any points. The reason why Weight Watchers is popular is because no foods are off limits. Diabetics, however, should already know that they have to avoid certain carbs. Regardless of how many free points there are, you should try to fill the bulk of your diet with low-glycemic foods. How Does Weight Watchers Freestyle Program Work for Diabetics? Weight Watchers has rolled out a new freestyle program. The fundamentals are the same, but they’ve added cool new features to increase flexibility and satisfaction. Their goal is to move away from the word “diet” and become a real lifestyle change for you. The most notable differences are more free foods and a rollover system. If you enjoy having a weekly cheat day, the rollover system now allows that. You can save up to 4 points each day to use at any time during the rest of the week. Weight Watchers for diabetics has never been easier. Now that there are more than 200 foods that are 0 points, you can plan healthy meals without worrying about eating too few or too many carbs. Diabetics may find it helpful to focus on eating a lot of proteins that are free to keep them full without spiking their blood sugar levels. Chicken breasts, ground turkey, and eggs are some examples of filling proteins that they can freely. Whether you have type 1 diabetes or type 2 diabetes, you should definitely familiarize yourself with a carbohydrate calculator. This way you can ensure that your body is getting the right amount of nutrients it needs. Weight Watchers has considered weight loss with a diabetic diet. They have tons of recipes that are a healthy amount of points designed to keep blood sugar levels stable. Everyone has a different mentality about weight loss. Either you need to be strict and quit junk food cold-turkey or you need something to look forward to so you can stay motivated. The good news is that science now backs the efficiency of taking a cheat day. Researchers found that dieters who allowed themselves a cheat day once a week lost more weight than dieters who were strict. The reason why cheat days help is that planning an indulgent day helped stop dieters from making poor choices throughout the rest of the week. Other dieters who were strict felt deprived and gave in to too many temptations. Additionally, once they made one mistake, it was easier to think that they had reversed their hard work. Feeling defeated can lead to unhealthy binges. Although you can definitely lose weight by being strict, you have to have superhuman willpower. Most people need a little food that may be bad for the body but is good for their soul. If you’re looking for a treat every now and then to reward your progress, try making a homemade, sugar-free dessert. Now that Weight Watchers freestyle program allows rollover points for cheat days, you can still plan your favorite Friday pizza nights or Sunday brunches. Swap all beverages for water. If you tire of water, try infusing it with different fruits and herbs. If you go over your points, don’t beat yourself up. Try to go for a walk to improve your mood and free up some points. Meal prep to save time and make planning easier. Remove any temptations from your kitchen if you know you can’t resist them. Weight Watchers freestyle reviews have been overwhelmingly positive. People from all kinds of health backgrounds have been successful at losing weight. Whether you are diabetic, vegan, low-fat, or not very active, their plan can fit any dietary needs you have. The American Diabetes Association supports Weight Watchers as a healthy program for diabetics. While experts explain that there is no “correct” diet for diabetics, anything that helps someone can lose weight can work wonders for their health. Being overweight with diabetes increases your risk for all kinds of health problems. Making lifestyle changes that can keep you at a healthy weight for the rest of your life will make managing your symptoms much easier. If you think that Weight Watchers can fit your lifestyle, then you can follow the program with type 1 or type 2 diabetes. Before you make any huge changes in your diet or exercise routine, it’s always best to consult your doctor and keep them in the loop throughout your entire weight loss journey. *New: You can also find apps for diabetes or keto on Amazon. This entry was posted in weight watchers and tagged diabetes, type 2 diabetes, weight watchers on August 1, 2018 by missy.